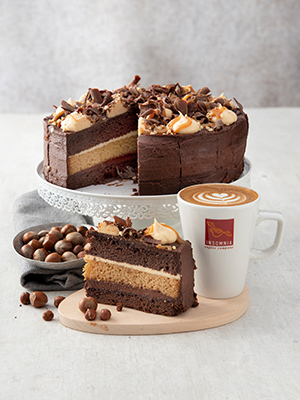 Inspired by the indulgent Belgian chocolate Insomnia brings you a brand-new collection of mouth-watering hot chocolates and chocolate bakery. This year more than ever we’re bringing innovation with the launch of a 4th type of Hot Chocolate – The Ruby Hot Chocolate - exclusive to Insomnia! 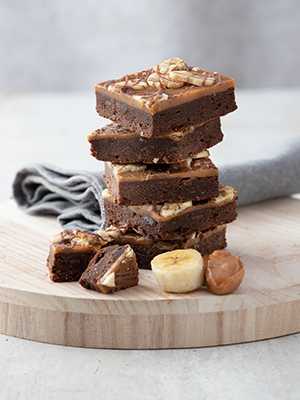 The bakery collection has been put together to include some new brownies and introduces a new Vegan Friendly Raspberry & Chocolate Brownie to the Insomnia menu. 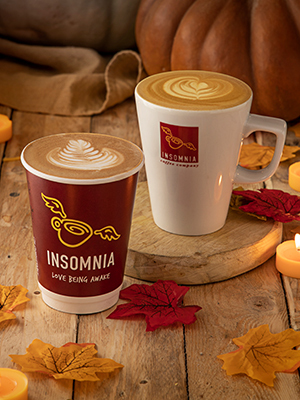 The new Ruby Hot Chocolate is an exclusive drink being launched for the first time for Insomnia! Made from Real Ruby Cocoa Bean the Ruby Hot Chocolate unlocks the flavour and colour tone naturally presented in the Ruby bean - this is the 4th type of chocolate next to Dark, Milk and White chocolate. 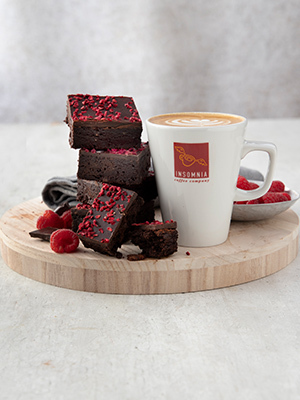 The Ruby Hot Chocolate is an intense sensorial delight, a tension between berry-fruitiness and luscious smoothness. If a hot chocolate is like a hug from the inside get ready for the best hug you’ve ever had. Our signature hot chocolate is made with real chocolate, melted down into a rich chocolate sauce, whisked with warm milk and topped off with a choice of chocolate flakes, marshmallows or a swirl of whipped cream. Our baristas are happy to add whipped cream, marshmallows or chocolate flakes to any of your drinks for no charge, all you have to do is ask as you place your order!